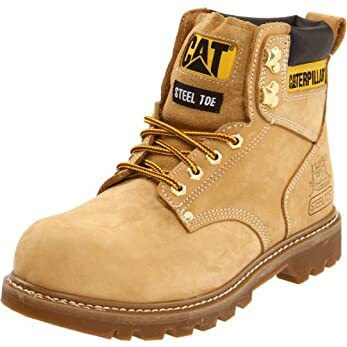 If you work in an environment where there is a high risk of injury from falling objects, there is one thing that you will need – the best steel toe boots. This will prov﻿ide the feet with the protection that is needed from apparent danger, while also being able to promote your highest level of comfort. With the right choice of footwear, you will not only be safe and comfortable, but you will most probably be more productive in what you are doing. What is the best option that is available in the market? 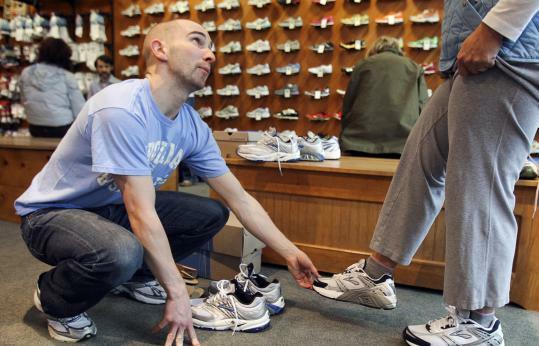 This is one thing that can be hard to answer, but through this guide, we hope that choosing the right footwear for your job will be a lot easier. I will provide you with insights on some of the most important factors that should be taken into account. Also, in this post, I will take a look at five of the options that you might want to take into consideration. I hope that this will help you to come up with the right choice. Why Should You Wear Steel Toe Boots ? It Prevents Foot Injuries: This is perhaps the most common reason why wearing steel toe boots can be beneficial. In high-risk work environments, such as in construction sites. It will be helpful in the prevention of crushing, sprains, lacerations, and punctures, among other things. It Promotes Comfort: To ensure that your boots will be able to promote the best when it comes to comfort, see to it that it is well-ventilated and it is lightweight. You should also wear comfortable socks or use removable insoles if this will be helpful in providing you with a softer and more supportive foot bed. It is Required by Law: More often than not, wearing steel toe boots is not only a matter of personal preference, but also a personal obligation. There are existing regulations that stipulate the need to have protective worker when in an environment where there is a high risk of suffering from injuries. This will refer to the size of your steel toe boots. It is a good idea if you will be able to try it on before purchasing so that you can have a feel of its actual fit. The size may differ from your casual sneakers. Always refer to the chart from the manufacturer. It will also be good if you will choose one that is a bit larger than you actual size so that there will be room for your thick socks. There are different things that will have an impact on the comfort that you will experience. One of the characteristics of the most comfortable steel toe ﻿s﻿﻿hoes is that it is well-ventilated. It must be able to offer impressive air circulation to keep your foot dry and comfortable. Having a cushioned foot bed is also a good thing, especially if you will be standing for an extended period of time in your line of work. It is not enough that the steel toe boots are comfortable. It is also important that it will be able to provide the support that you need, specifically for the arch. This is especially true if you have flat﻿ feet. It should be designed in such a way that it will solve your pronation problems, lessening the possibility that you will end up suffering from foot pain. In some cases, you can use an aftermarket insole if you want the boots to provide better support for your arch. In choosing met guard ﻿﻿﻿﻿﻿boots, another thing that can prove to be important would be flexibility. In this case, one of the features that should be looked at would be the sole of the boots. It must be made from a material that will easily bend. If it is too stiff, you will most probably have a hard time moving. The upper materials should also be flexible. If it feels a bit stiff, chances are, all that needs to be done would be proper breaking in. It will also be good if you will choose steel toe boot that is waterproof, especially if you are working outdoors. This will help to keep your feet dry, which will also be vital when it comes to comfort. This is another important thing for workers who are often outdoors. The steel toe boots must be able to offer sufficient insulation, which will keep your feet warm even if it is freezing cold. Steel toe boots should be seen as an investment, and hence, it must be able to withstand long-term use. In this case, in deciding which one is the best, consider its durability. Take a look at the materials that are used and the way the footwear is constructed. Goodyear Welting is the best method of construction when talking about longevity although this can also make the footwear more expensive. In this section, I will provide you with a rundown on some of the best options that are available on the market. I will also discuss some of its most notable features, as well as its pros and cons. For many years, Timberland has gained reputation as one of the most trusted names in the market for boots. There is no wonder that this steel to boot is also an impressive pick. I would say that this is the best from many others I have personally seen in the past. There is no wonder why the company enjoys a solid reputation in the product category. If you are in a demanding work environment, such as in construction, this is one pair that you might love. Aside from the steel toe, I was also impressed with its protection from electrical hazards. This will be really useful if there are electrical hazards that are present in the workplace. Looking for the best construction boots that can deliver exceptional comfort? This is another option that you might want to take into consideration. I loved that it has Pro 24/7 Comfort Suspension System, an exclusive technology that has been developed by the company, providing superior cushioning and contoured shock absorption to promote the highest level of comfort of the user. I also loved how it was integrated with fabric liner, which has an antimicrobial mechanism. This will prevent the growth of bacteria and will also alleviate the possibility that the footwear will exhibit foul odor. 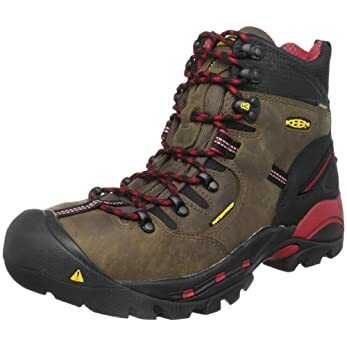 I personally believe that if you want the best steel toe boots, you should take a look at the comfort that it can offer. In this case, you have a good reason to choose this product. It comes with padded collar and also encourages proper air circulation, which will keep your foot well-ventilated. If you work outdoors, such as in roadside or building construction, you might want to consider this boots as it has excellent waterproofing. It is seam-sealed, which will allow it to provide excellent waterproofing for many years. This can also be a good choice if you are looking for durability. Even after several years, you can expect that its superior quality will remain as it is an all-purpose boot, allowing it to withstand even the most demanding requirements in your work environment. Looking for work boots that can prove to be a good choice when it comes to being hygienic? I can recommend this pair as it comes with antimicrobial treatment in the mesh lining. This will provide not only odor control but will also inhibit the growth of bacteria that could result from excessive moisture. Caterpillar is one of the brands that I trust when it comes to work boots, and I believe that this specific model is one that can deliver astounding benefits. Among others, I recommend his model because of its tough construction, making it perfect even for tough work environments. It is made with the use of full grain leather, which makes it look stylish. 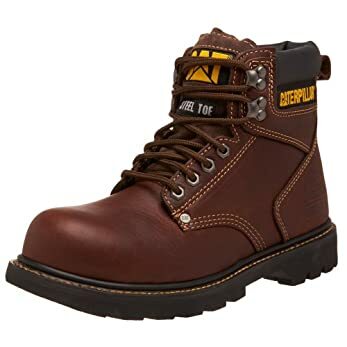 This is a good choice if you want a steel toe boot that will look good, which means that you can also have it worn beyond the job site. From the first time of wearing the boots, you might feel that it is a bit stiff. This may be a problem for people who are impatient. Nonetheless, I suggest that you just wait for a while and it won’t be long before the leather will be softer. It requires some breaking in, but after such period, you can find it to be more comfortable. I also loved the height of the shaft of this work boot. Others have shafts that are too high, which can limit your movement. With this, if you move a lot in the workplace, this is one that you might want to consider since the design of the shaft is excellent. From the long list of the advanced features that you can find in this product, one that you might love would be its full grain leather construction. From the first look, you will already love the way it looks, and you might love it even better once you experience its functionality. The design of the rubber outsole is also impressive. If you work in areas with slippery floors or with surfaces that are often wet, this is one shoe that you might love. It is designed in such a waythat it will have a strong grip on the ground to prevent the possibility of slipping. 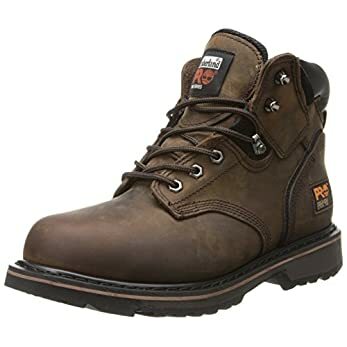 If you are looking for work boots that can also be used for other applications, this is one option that you might like. I loved how I can use it not only for work but also for camping. It is designed in such a way that it promotes natural movement, which is one of the reasons why it is comfortable. The waterproof technology that can be found in this steel toe boots is one more thing that is worth noting. The main benefit of the latter is to keep your foot out of the water and to make you feel more comfortable. It also comes with a breathable membrane, which will allow sufficient air circulation. The wrap-around outsole is one more thing that is loved. It is not enough that it comes with a steel toe. To provide protection not just for the toe, but for the entire foot, the outsole is thick and protective. When to Use Steel Toe Boots is the best? In the Construction Site: Construction workers are at high risk of suffering from foot injuries. There is debris that can possibly crush their foot. With this, wearing steel toe boots will prove to be an essential in the workplace. This will lessen the possibility of suffering from any unfortunate situation as they perform their duties in their line of work. In Manufacturing Plants: Even indoors, there are risks of suffering from foot injuries. If you intended to wear steel toe boots in manufacturing facilities, we highly recommend that you pay extra attention in the construction of the sole. It should be slip-resistant but should be also flexible enough, making it easier for you to move around and to do what needs to be done. In Repairing and Building Homes: In many carpentry jobs, wearing steel toe boots can also be a good thing. Eve a hammer, when it ﻿hits your toe, can hurt and can cause an injury. This, however, is not a thing that you should be worried about when you are wearing steel to boots. You ca be confident that you will be protected from being crushed, even if a heavier object lands into your foot. 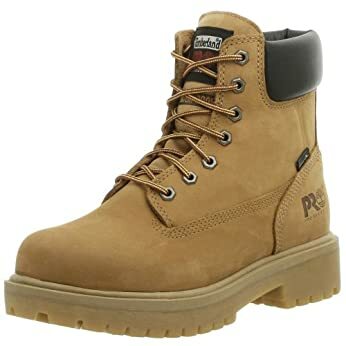 In sum, from the models that have been mentioned above, if there is one that I can personally recommend, it would be Timberland Pro Men’s Pitboss 6” Steel Toe Boot. It comes with a decent price, even if it is not the cheapest that you will find. It is also made by a trusted brand, which is more than enough reason for you to trust its quality. Looking for the best steel toe boots will not be an easy task. I hope that this guide is able to provide you with the knowledge that you need to come up with an intelligent decision.